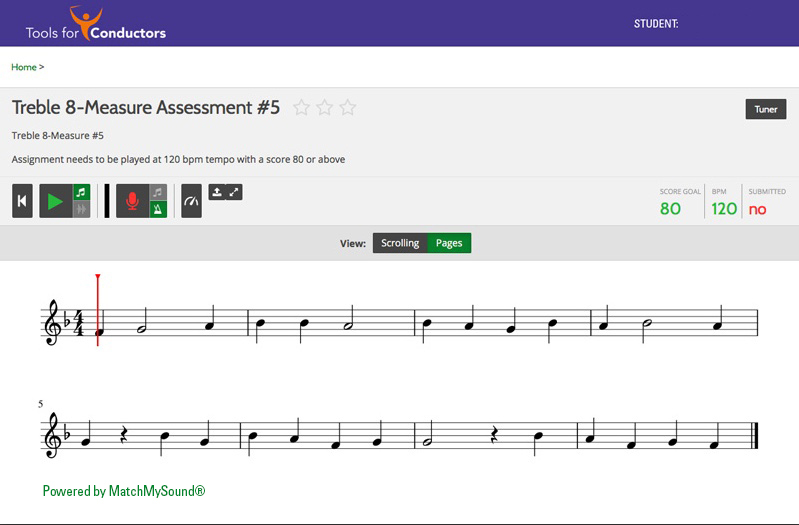 You Won’t Miss A Beat™ cloud-based assessments, powered by Match My Sound® and administered through MusicFirst, are easy to use! 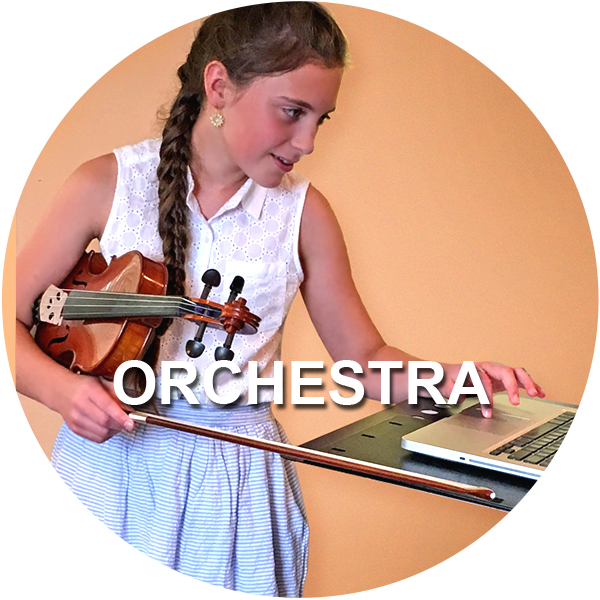 Three times a year your students’ musical progress will be assessed individually – and graded automatically – while you continue working with your ensemble! Each assessment takes only a few moments. Click on the image above to watch a demonstration of the Tools for Conductors online assessments. In just a few moments each of your students’ sight reading progress can be assessed and recorded, with results saved to their personal files. Tracking student progress in music gives them a wonderful sense of accomplishment, while providing you with a quarter-by-quarter, year-by-year record of their progress. 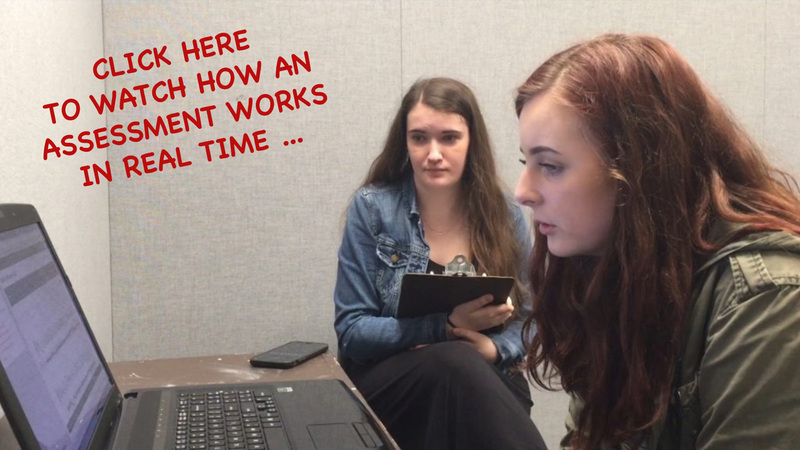 Students, parents, administrators and legislators want to know how well students are progressing – and you will have the proof! 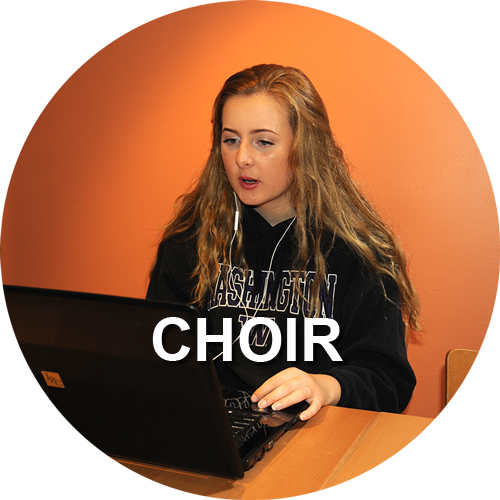 The student enters a practice room where you have set up a laptop or computer. (At your discretion, a classroom assistant or student teacher can also be in the practice room to monitor the tests.) The student takes the online assessment, which is instantly scored and sent to that students’ digital file. Generally, You Won’t Miss A Beat™ assessments are given three times during the academic year: at the beginning of the term; mid-way through the year; and finally at the end of term. This strategy provides baseline scores and gives you a clear picture of each student’s progress through the year – data you can present to your administration virtually on demand. In addition, this picture of student and ensemble strengths and weaknesses can help you improve everything from daily rehearsal planning to repertoire selection to your own conducting technique. In addition to graded assessments you can also select from a huge library of independent practice assessments that help students build confidence and improve testing skills during the year, anywhere they can connect to the internet. The results of those practice sessions (who practiced, when, and for how long) are compiled automatically and available for review in your student database. 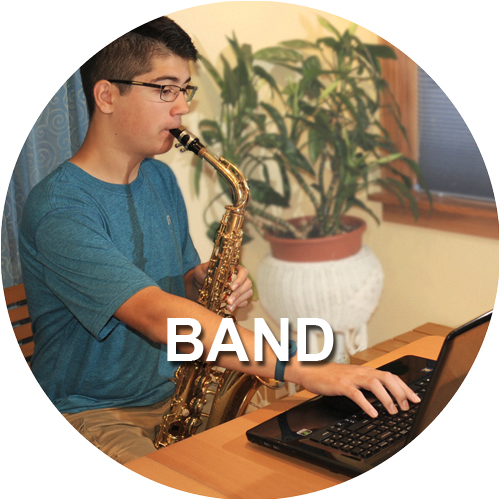 You Won’t Miss A Beat™ assessments are sequenced from 6th grade through college level. You simply select the assessments that are appropriate for your ensemble’s current level of accomplishment. Coming Soon … you will also be able to write your own exercises and build a library of assessments that truly reflect the uniqueness of your own teaching and conducting style. Please contact us to ask how you can have your assessments completely free to your music budget.